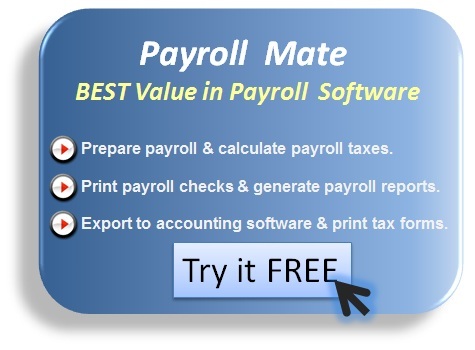 Payroll Mate has been updated to include the 2012 Schedule-A of form 940 (Employer’s Annual Federal Unemployment FUTA Tax Return). If you paid FUTA taxable wages that were also subject to state unemployment taxes in any states that are subject to credit reduction, then you need to fill out Schedule-A (Multi-State Employer and Credit Reduction Information). Credit reduction states are states that did not repay the money they borrowed from the federal government to pay unemployment benefits. The Department of Labor determines the credit reduction states for each year at the end of the year (mid November).